This is the first newsletter from the APEnet project (Archives Portal Europe). The APEnet project consists of fourteen European national archives working in close co-operation with Europeana on this three year project. The project is co-financed by the eContentplus programme and its aim is to create a common Gateway for Archives in Europe. In order to present the APEnet partners' archival content in a consistent way in the portal, the project consortium has decided to use the international archival standards EAD, EAC and EAG (Encoded Archival Description, Encoded Archival Context and Encoded Archival Guide) for the Archives Portal Europe. These standards are already used by most of the partners and have been adapted for common context during the first months of the project. 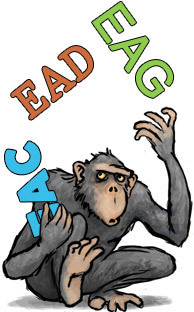 For example, the definitions regarding which elements should be implemented or whether an element could be repeated, have lead to a commonly used APEnet EAD schema. This will be the basis for future data preparation and transformation, as well as for future presentation within the portal. 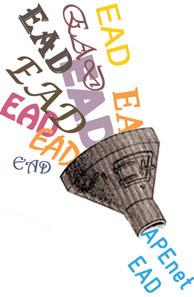 Following decisions on an APEnet EAD schema, an online validator has been published to enable the project partners to test their EAD data files against that schema. This validator transforms the received partners EAD data files into APEnet EAD and validates them against the APEnet EAD schema. In order for the partners to provide data to the APEnet project, their EAD data files will need to pass this validator which runs on a transformation file that needs to be adjusted for each partner once, according to the sample files and additional information provided by them. After transformation and validation, the data from the different partners is provided to the central host for presentation. There are two ways to do this: using a harvesting protocol like OAI-PMH to collect the data, or using a direct, password-protected upload via HTTP or FTP. In any event, the infrastructure already implemented by the partners will be supported. Regarding this workflow and in addition to the different possibilities for data management, indexing and presentation, various tests have been conducted with different technologies, programming languages, databases, repositories, index machines and webservers. The results of these tests will lead to a pilot installation of the portal in the course of 2010. Besides the hierarchical presentation of data derived from the archival material itself, other data presentations are being considered, such as a map or time-based search and display. In the scenarios already discussed by the partners, the hierarchical structure would lead from three top layers representing the partners, their holdings guides and their finding aids to the levels fonds, series, subseries, files and items within the finding aids. In addition to structured access enabled by the APEnet finding aid format, a “Google-like” key term search will also be available for researching archival material. The Archives Portal Europe will hold a parallel version of the files transformed and packed for the exchange with Europeana, as one of the objectives of the APEnet project is to act as an aggregator for Europeana and to deliver archival content to this cross-domain European cultural heritage portal. While Europeana is focused on displaying digital objects, the Archives Portal Europe will show these objects within the full context of their finding aids (bottom-up versus top-down approach). Converting the rich information of the APEnet EAD format to the basic Dublin Core-based Europeana metadata model is quite a challenge. However, the APEnet team has succeeded in finding a way to map between these two different metadata formats without much loss of important contextual information. An online converting tool has been developed which will be used to contribute as much content as possible to the next Europeana production release. At the same time, the APEnet team is contributing to the efforts of the Europeana team to design a more elaborate metadata model for future Europeana releases. Dissemination activities have been conducted by the project's Work Package 5. Most of the APEnet partners have contributed substantially to the first year of dissemination activities, resulting in many successful outcomes, among them an effectively branded project name and a project website that is a thriving tool for work and communication between the partners. The results of networking activities have also exceeded expectations and ten national archives and organisations have expressed their interest in joining the project. They are: Landesarchiv of the Fürstentum Liechtenstein, Israel State Archives, Croatian State Archives, Österreichisches Staatsarchiv, National Archives of Ireland, National Archives of Belgium, National Archives of the Czech Republic, Swiss Federal Archives, ICARUS project and APEnet EURBICA Liaison Group. The National Archives of Ireland and the National Archives of Belgium have already been active among the APEnet partners. All other interested national archives have the possibility to join the APEnet consortium as Associates. APEnet has also established close connections with other projects and initiatives in the same field of interest and there is now a stable and solid ground for future co-operation. On 29 April 2010 the EU commission issued its Midterm Review Report concerning APEnet. It states that - after a thorough evaluation of the APEnet 2009 project results and an interview with the Project Management Team on 11 March in Luxembourg - the reviewers have noted, that the work of the APEnet consortium is based on solid experiences, using best practices as well as international standards. Therefore it seems to be competent to build a system for the complex material in archives and to aggregate it to Europeana. They think the APEnet consortium is able to create the necessary momentum in the archival community to support it. They suggest to concentrate the further work on the creation of the gateway, the relations to partners and the link to Europeana, recognising the necessity of the archival community's own approach for disseminating archival material online. During its meeting in Madrid on 20 May the Project Management Team has identified some measures to enhance the effectivity of the work and to create closer relations to the partners which will be discussed during the General Assembly in León on 30 June. You can read about our activities for 2009 on our web page, News section. APEnet Work Package 3 held its kick-off meeting at the National Archives in The Hague on 28 January 2010. WP3 concerns interoperability between APEnet and Europeana. The APEnet project 2009 results were reviewed by the EU commission in Luxembourg on 11 March, to a favorable outcome. APEnet presented the project at the 8th European Conference on Digital Archiving, 28 - 30 April 2010 in Geneva, Switzerland. Angelika Menne-Haritz and Wim van Dongen held the presentation "The APEnet project - building a gateway to archives in Europe". APEnet attended the EBNA meeting on 18 - 19 May 2010. APEnet attended the EAG meeting on 19 May 2010. WP2 will hold their kick-off in León, Spain, on 29 June 2010. The second APEnet GA meeting will be held in León, Spain, on 30 June 2010. 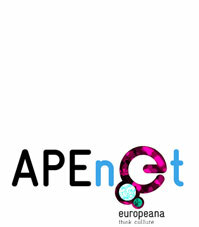 APEnet will indirectly contribute to the Europeana production release, the Rhine release due in summer 2010, delivering content from APEnet partners using APEnet mapping tools, thus prototyping interoperability prior to the Archives Portal Europe pilot release, due in January 2011. APEnet will give a presentation at the CITRA conference in Oslo, Norway, on 11 September 2010.